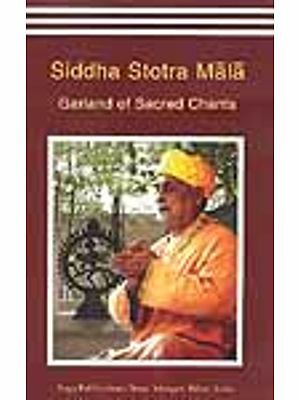 Shri Ramacharitamanasa of Tulasidasa is the single most popular book of the Hindus, which, for over four centuries, has greatly appealed equally to the rich and the poor, the educated and the illiterate, the old and the young, and the scholar and the common man. Its popularity is by no means limited to India, or are the Hindus its only readers. The message of the Ramacharitamanasa is all the more relevant today as it reiterates man's faith in the soundness of moral order that sustain the world. Dark and evil forces may, and will, on occasions, threaten to disrupt that order but divine intervention will ultimately chasten and subdue those forces. 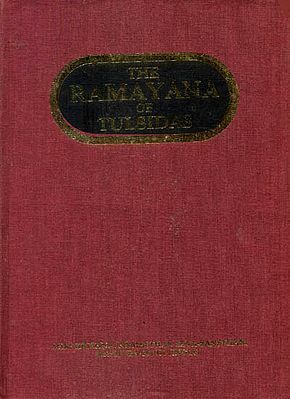 Keeping in mind people's ever-increasing quest for the epic, this unique edition of the Ramacharitamanasa with verse-to-verse Hindi and English translation along with Tulasidasa's original text has been prepared. The translation rendered by an accomplished scholar maintains the intrinsic richness of the original. Special care has been taken for making it useful to the Indian brethren living abroad to whom the dialect of Tulasidasa's original may be somewhat incomprehensible. There has been a long-standing demand from the vast Indian community settled abroad for a standard and authentic edition of the Ramacharitamanasa. The present edition has been designed to meet their requirement by using the most modern printing and processing techniques to make it a work of international standard. A special feature of this edition is the inclusion of Lavakushakanda, Shri Hanumanchalisa and Shri Ramashalaka Prashnavali. The mode of its recitation is given as a separate appendix. Adding to its uniqueness is the important section containing Indian, and European and American scholar's criticisms on Tulasidasa's Ramacharitamanasa. A glossary of important proper nouns and epithets is given at the end. 'This Holy Lake of Rama's Acts,' says Tulasidasa, 'is a lake of merit that destroys all defilements and ever blesses the soul, granting wisdom and faith and washing away the filth of ignorance and illusion by its pure, clear waters brimful with love. Those who plunge with faith into it are never burnt by the scorching rays of the sun of birth and death.' This is a claim that no critic of the poem has refuted, either in India or in the West, so firm is his belief in the nobility and relevance of the poet's message. From each and every act performed by Tulasi's Rama, holy and never-ending evidence of unimaginable compassion appears, and out of every manifestation of his invincible power oceans of eternal light pour forth. This magnificent epic reveals Tulasi as a saint poet athirst for Rama's favour and eager to discover his essence, a poet yearning for a drop of the billowing ocean of the Lord's endless mercy, and a votary awaiting a sprinkling from the unfathomed deep of this master's sovereign and all pervasive glory. The wonders of Rams's bounty, believes the poet, shall never cease, and the stream of his merciful grace can never be arrested. The process of his creation has had no beginning and can have no end. Like Atri, Tulasi adores Rama, 'the one mysterious Lord, the passionless and all-pervading sovereign, the eternal guru of the world, the perfect mystic, one alone; lover of love, whom the sensual can by no means comprehend, a tree of Paradise to his worshippers, impartial, ever worthy to be worshipped'. From time immemorial Rama, the Blessed Lord, has been veiled in the ineffable sanctity of his exalted self, and will everlastingly continue to be wrapt in the impenetrable mystery of his unknowable, elusive essence. The Holy Lake of the Acts of Rama is Tulasi's attempt to attain to an understanding of Rama's inaccessible Reality and to approach his exalted self and envisage his essence. He is convinced that the way to Rama's realm is the way of bhakti or devotion to a personal God characterized by ungrudging submission unto his command and contentment with his holy will and pleasure. The source of all good for Tulasi is devotion to Rama and the essence of wisdom is faith in him; trust in his sovereignty and the apprehension that 'I am the servant and he my master'. The essence of righteousness is to hold fast to this doctrine, and worship the lotus-feet of Rama. The source of all glory is love of Rama, and contentment with that which the Blessed Lord has ordained. The essence of love is for man to turn his heart to Raghunathas, and to sever himself from all else but him, and desire naught save that which the Lord desires. True worship is for the devotee to hold fast unto Rama the Lord, to seek naught but his grace, inasmuch as in his hands lies the destiny of all his servants. The essence of detachment is for man to endure pain to give pleasure to others, and good men are like the birch-tree, ready in their compassion to suffer the direst affliction if so they can help their neighbours. Ignorance is the root of all sicknesses, from which again spring many torments. Lust is wind; insatiable greed is phlegm; choler is bile that continually inflames the soul. Views such as these are now rooted in the Indian psyche, so popular is this Holy Lake among the common people here. It was the story of Rama, and not that of any other epic hero, that the Hindus took with them as a holy book on their adventurous journeys to such distant countries and islands as Jamaica, Surinam, Guyana, Fiji and Mauritius. This text and translation is intended for them and for those for whom English is either their mother tongue or a language they learn. The basic text for the first seven books is the Kashi Raj edition of the Ramacharitamanasa, edited by Vishvanath Prasad Mishra. In some instances I have also used the Gita Press edition of the epic, but where no available sources yielded a satisfactory meaning, the translation has followed one or more of the popular versions or has adopted a reconstructed text, especially in the eighth canto, which by no means was written by Tulasidasa himself. 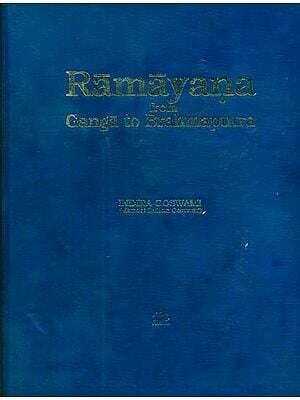 The basic text for this eighth book, given in Appendix A is the popular Goswami Tulasidasakrit Ramayana published by Shri Venkateshwar Steam Press, Bombay (1985), but in quite a few instances the text is based on a variant reading supported by one or more popular versions. Since the eighth Book, an elaborate interpolation, is not as popular as the first seven sopanas, the inclusion of it in the present volume has an incidental importance in making the Western reader familiar with the story of Rama in its entirety. If my efforts serve to make the Manasa more relevant for the twentieth-century reader and if they may help to show how far he has departed from truth and from Tulasi's ideals, they will serve their purpose. For his kindness in supplying me with a large number of commentaries on the Manasa, especially its English rendering published by the Gita Press, Gorakhpur, which has been my primary source, I am very greatly indebted to Dr. Bindeshwar pathak, founder chairman of Sulabh International, who loves to bathe in the pellucid stream of knowledge and is pre-eminent in apprehension of the divine in man. To Dr. Kameshwar Prasad, University Professor of English, Patna University, I am indebted for his assistance in the translation of the Lavakushakanda. I should like to thank him for his patience during the many laborious hours we spent in my home translating page after page of the eighth Book of the Manasa. Special thanks are also due to Acharya Ram Khelawan Roy, University Professor and Head of the Department of Hindi, Patna University, whose scholarship has contributed significantly to my understanding of Tulasi's epic. Without his selfless and exhausting work on the annotation of the first seven Books, the present volume could not have appeared in print for several years. Acharya Giridhar Mishra is responsible for many of my interpretations of the epic. The meticulousness of his profound scholarship and his extraordinary dedication to all aspects of Rama's story have led to his recognition as one of the greatest authorities on Tulasidasa in India today. Help has also come from two of his well-known disciples, Gopal Sharan Singh and Arjun Prasad Singh, who not only introduced me to their guru but also made available to me his scholarly works on the Manasa. I owe to them the revelation that the Acharya's knowledge of the Ramacharitamanasa is vast and breathtaking and that he is one of those rare scholars who know the text of the epic virtually by heart. Those to whom I am grateful for discussion of the material or advice which goes beyond that, or is not otherwise acknowledged, are Professor G. Mukherjee, Professor K.N. Sharma, Professor J.P. Singh, Dr. Ashok Kumar Sinha, Professor Bijay Pratap Singh, Dr. V.N. Mishra, Dr. Siyaram Tiwary, Dr. Bachandeo Kumar, Dr. Gopal Rai, Dr. Awadhesh Kumar Sharma, Dr. Ajit Kumar Mishra, Miss Amrita Ojha, Shashi Bhushan Kumar, Jadugar Anand of Jabalpur, M.P., Chandramauli Prasad, Shri Somanath Singh, and Dr. Sitaram Jha 'Shyam'. My special thanks are due to Shri J.P.Jain of Messrs Motilal Banarsidass, the initiator and publisher of this vitally needed project, for his advice, friendly regard, and unfailing support and especially for his patient recognition that a project of this magnitude cannot be rushed for deadlines without losing much of its value. I thank him again and again for his readiness, ungrudgingly shown, to accommodate his plans to mine. I also wish to thank Shri Satya Narayan Prasad, who with infinite patience and understanding has worked with me on this programme through the years and typed the rough and final drafts of this book. The work owes, in addition, countless debts to F.S. Growse, W.D.P. Hill and others whose translations of the Manasa have contributed enormously to my own. There is hardly a line of the translation that has not benefited in some way from their excellent rendering of the epic. Finally, I wish to mention two of my unfailing sources of inspiration, captain Awadhesh Kumar, my son-in-law, and Sumitra, my wife, whose advice, encouragement and deep solicitude for my welfare enabled me to intensify my efforts on the editing, explication and translation of the Ramacharitamanasa.